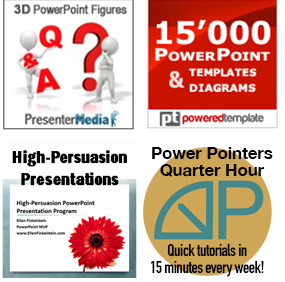 Have you ever seen this when you created a chart in PowerPoint? Look at the order of the items in the datasheet and in the bar chart itself. They’re the opposite of each other! If you care about the order of the data in your chart, this can be very frustrating! Fortunately, there are 2 for changing the order of items in a chart. In this example, you want to change the order that the items on the vertical axis appear, so click the vertical axis. On the Format tab in the Current Selection group, click Format Selection or simply right-click and choose Format Axis. 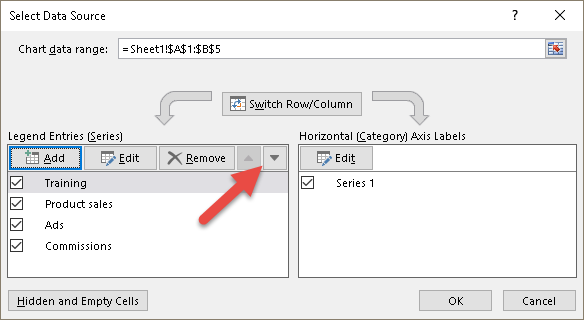 The Format Axis task pane opens. 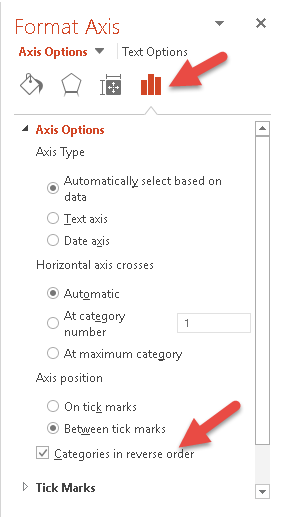 In the Axis Options section (click the Axis Options icon if necessary–it looks like a graph), check the Categories in Reverse Order check box. With the chart selected, click the Chart Tools Design tab. Choose Select Data in the Data section. The Select Data Source dialog box opens. Select an item by clicking its name. Don’t uncheck an item or you’ll remove it from the chart. You can then use the Move Up and Move Down buttons to move the selected item up or down. Click OK when you’re done. Strangely, the colors of the chart change. Some people go back to their original data, whether in the datasheet or in Excel and change it there, but if you don’t want to do that, one of these methods should work for you. How do you control the order of the data in your charts? 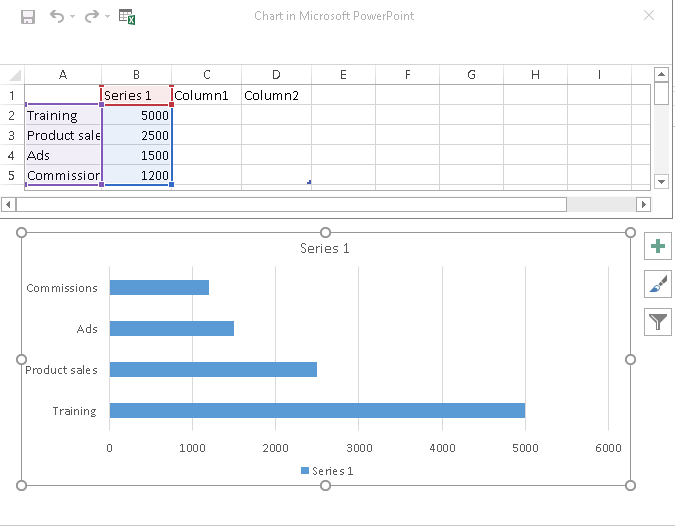 Leave a comment about your experiences with data order in PowerPoint charts. And please use the Share buttons to share this post with others who might benefit. A little tip I found. I was having major problems with reordering my series to change the order in which the legend displayed them. I was clicking on my graph’s ‘Chart Area’ and using the ‘select data’ box up and down arrows. The colours of my lines/data points would change spontaneously. Very frustrating having to change them back. Anyway, I found that if, instead of clicking on the ‘Chart Area’ to access the ‘select data’ box, I click on the ‘legend’ box, the colours don’t change! The series just happily re-order themselves in the display. I had searched this problem, but no-one seemed to have the info. I notice you too have experienced the issue, so thought it’d be worth letting you know so others can benefit.